In a significant milestone for the Italian Air Force, the Italian Ministry of Defence (MoD) has given the Lockheed Martin C-130J Hercules transport its Military Type Certification. This approval enables the Italian Air Force to begin military operations almost immediately the aircraft are delivered to their new base at Pisa. This initial certification means that the Aeronautica Militare Italiana's (AMI -- Italian Air Force) 46th Air Brigade aircraft can conduct logistic supply, maximum payload, and tactical missions. 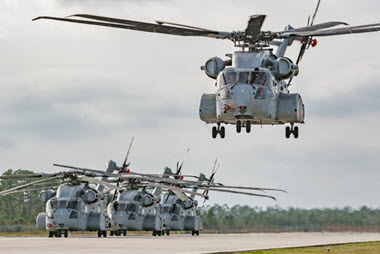 Full clearance, which will add clearance for paratroop, airdrop, assault landings on unprepared fields, and maximum alternate weights missions, is anticipated before the end of the year. The first of twenty-two C-130J / -30s the Italian Air Force has on order will be flown from the company's facility in Marietta to Pisa within the next several weeks. During 1999 the AMI evaluated their long-term tactical airlift needs, and determined that the best solution was a mix of aircraft including C-130Js, C-130J-30s and C-27Js. Last year Italy announced its intent to acquire 12 C-27s. The Italian configuration is among the most sophisticated yet developed for the aircraft. It has a highly advanced suite of communications and defensive systems equipment. This includes U/VHF combined multi-band radios and a laser warning receiver system. In addition, it will be the first C-130J "receiver-tanker" built. This means it has the ability to both refuel other aircraft as well as being refueled itself in-flight. This is a true 'force multiplier' for the AMI as it gives them great operational flexibility in tactical transport missions. In addition to the 22 C-130Js, Lockheed Martin Aeronautics Company has signed a contract with the Italian government for the construction of a National Training Center (NTC) at Pisa Air Base, in support of the C-130J aircraft program. The AMI NTC will be used primarily to conduct C-130J aircrew and maintenance training, but will also provide growth potential as well as classroom facilities for other aircraft programs.